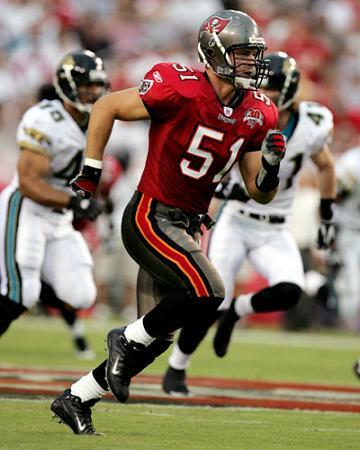 Some of the better linebackers in Buc history have owned this number during the 30-year run of the franchise, although the first owner, Dan Ryczek, was a center. He started 21 of the first 25 games in Tampa Bay annals before giving way to Steve Wilson. 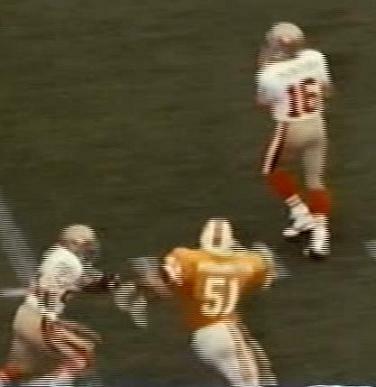 Dana Nafziger was a special teams' demon who also played some tight end during his rookie season in 1977 but the main owner in the orange and white days was Broderick Thomas. 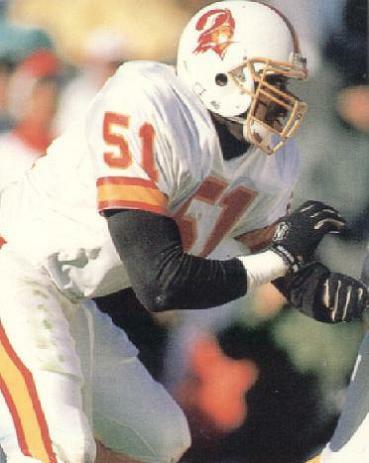 "The Sandman" as he was known, was related to Mike Singletary and a former first round pick who never really lived up to his high draft position during his time in Tampa Bay. 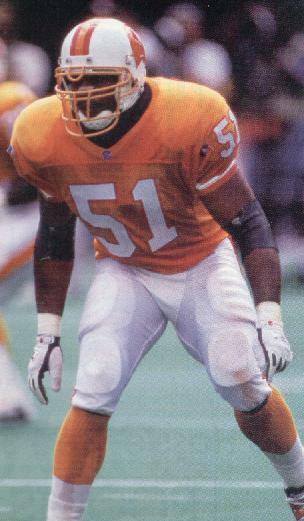 Both Lonnie Marts and Al Singleton had their moments in Buccaneer colours with the latter wearing the number in the Super Bowl before moving on to the Cowboys. 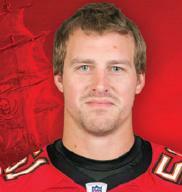 Barrett Ruud is of course the name most associated with the number for recent Buccaneer fans. 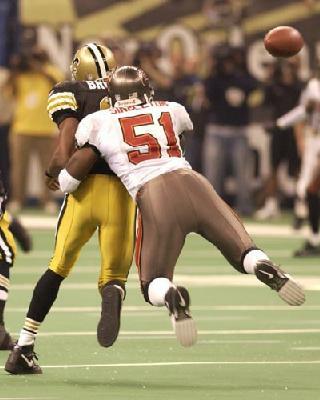 His six-year tenure in Tampa Bay saw him either a fan favourite or boo-bird target but either way, he did enough in Buc colours to win the best-ever award for the 51 jersey. Jacob Cutrera owned the number but was nothing more than a special teamer in 2011 and 2012 and it was also worn by Danny Lansanah who came seemingly out of nowhere to start games at all three linebacker positions during 2014. Kendell Beckwith took over the jersey as a rookie in 2017 and had a nice first season starting in the linebacking corps.